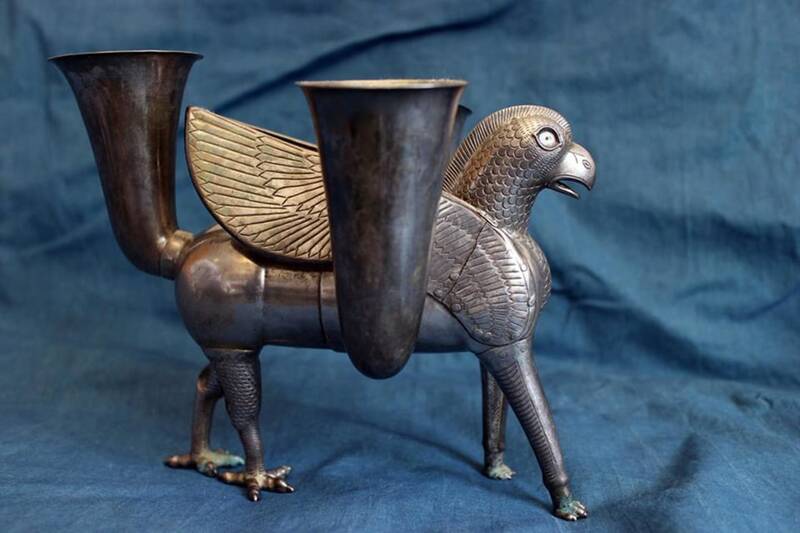 For a decade, the silver griffin — a prized artifact smuggled out of Iran and later seized by the United States — sat in a plain cardboard box in a non-descript government warehouse in the Queens borough of New York City. The deep freeze between the two countries suggested the ceremonial drinking vessel — in the shape of a mythical creature, with the body of a lion and the head, wings and talons of an eagle — would probably be stuck there for many years to come. Instead, thanks to shifting political winds in Tehran and the embrace of opportunity in Washington, the griffin was rescued from its dusty purgatory to play a supporting role in the high-stakes diplomatic drama that could end with a historic nuclear deal. With the United Nations General Assembly as a backdrop, the U.S. last September quietly returned the chalice to Iran as a gesture of goodwill. 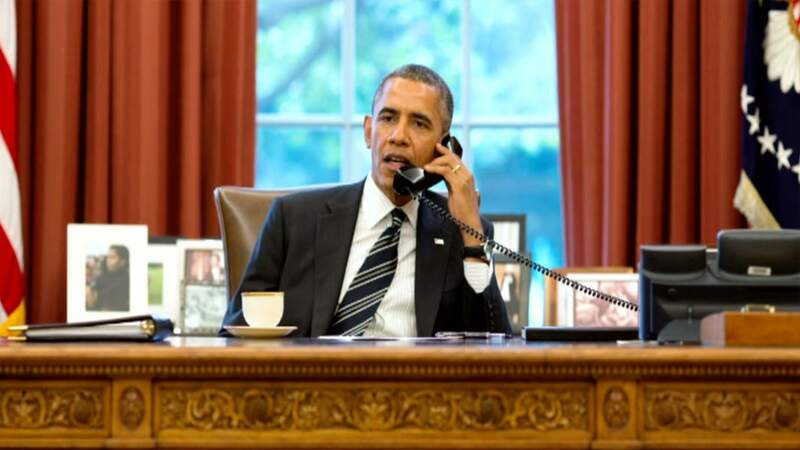 Two days later, President Obama called the new reform-minded Iranian President Hassan Rouhani. "It was viewed as, 'We're not going to war,'" said Hooman Majd, an Iranian-American commentator and author. "People who hand over griffins and talk on the phone are not going to war any time soon." Publicly, the U.S. framed the repatriation as a gift and a sign of "respect" for the Iranian people, and upon his return to Tehran from New York, Rouhani noted that it had been given with "due ceremony." Not mentioned was the fact that the authenticity of the item is a matter of some controversy. Officials in both hemispheres describe the griffin as a relic that dates back to the 7th century BC and which was plundered from northwestern Iran by treasure hunters in the early 1990s. It was brought to the U.S. in February 2000 by a prominent Geneva-based antiquities dealer named Hicham Aboutaam, who arranged to sell it to a New York collector for just under $1 million. The deal came to the attention of federal investigators, who busted Aboutaam and seized the griffin. He pleaded guilty in 2004 to falsely telling a Customs officer that the piece was from Syria. While some experts have authenticated it as an ancient and priceless piece of art, others doubt that it's 2,700 years old. 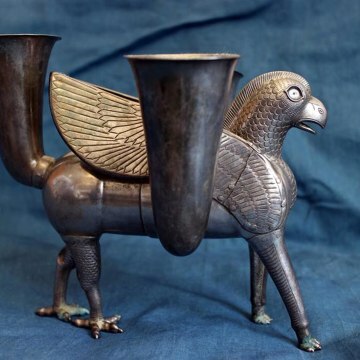 Retired Metropolitan Museum of Art curator Oscar White Muscarella agrees the griffin is from Iran, but in a paper published a year before the handover, he declared that technical and stylistic characteristics were a giveaway that it's a modern fake. "It was made in a forgery shop," Muscarella wrote. But as Majd points out, the value of the griffin to international relations had almost nothing to do with whether it was real or not. "The gesture was much more important than the griffin itself," he said. A Los Angeles Times article detailed the behind-the-scenes work that brought the griffin home, starting with a meeting of the Obama administration's Middle East experts to come up with a way to symbolically extend a hand to Rouhani. One of them brought up the chalice, and when Rouhani announced plans to speak at the General Assembly, a plan was hatched to gift it to Iran. 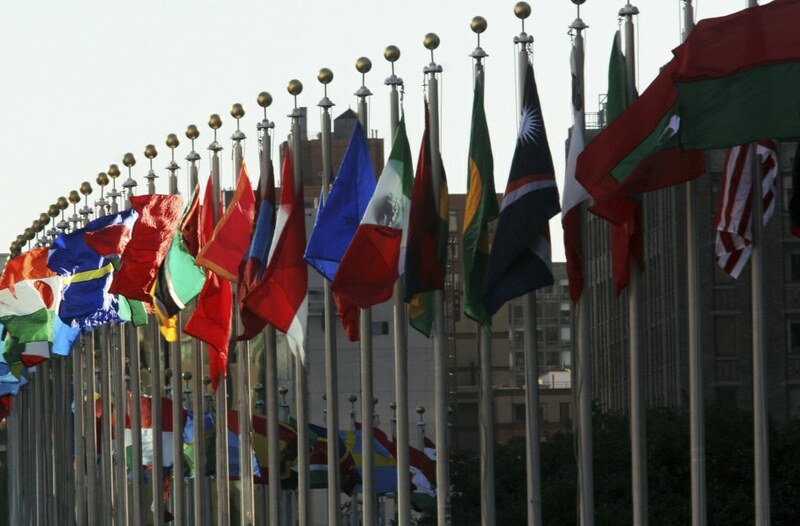 An unnamed, mid-level diplomat at the U.S. Mission to the United Nations sent a courier to pick up the vessel, bought a plain white bag for it and then arranged a rare meeting with an Iranian counterpart, who was stunned to receive it. "He gave this lovely speech, telling me how much this meant to the Iranian people and to him personally," the American told the L.A. Times. "It was an important moment. I know I'll never forget it." Majd said it's important not to overstate the part the griffin played in getting Iran to the negotiating table, where it hashed out a temporary deal with the West over its disputed nuclear program. But, he said, it's also true that the griffin proved to be the perfect token at the right time. "It was like the topping on the dessert," he said.